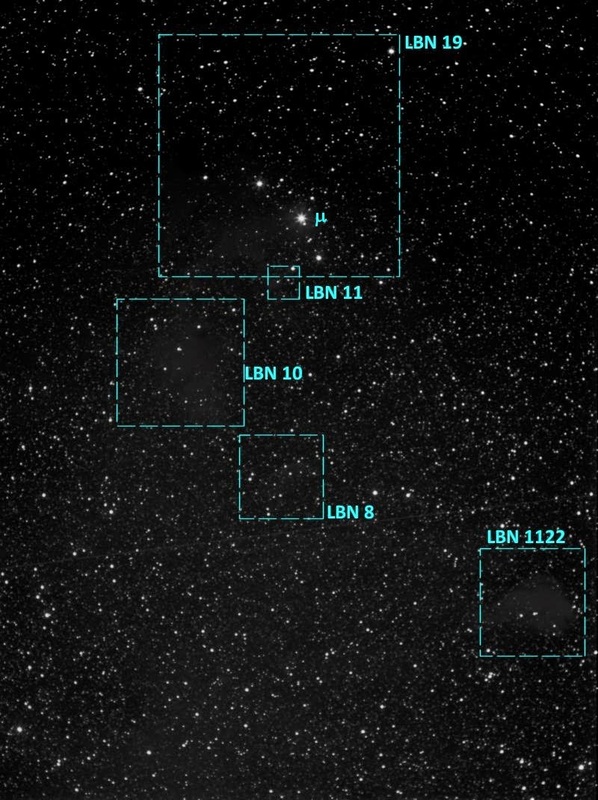 Last night everything worked correctly and I managed to image the cluster of LBNs in Serpens that includes LBN 8, 10, 11, 19, and 1122. These are NOT very bright. Only 1122 rises to the level of LBN brightness 4; 11 is brightness 5, and 8, 10, and 19 are all brightness 6. Which is to say that these are really quite dim. 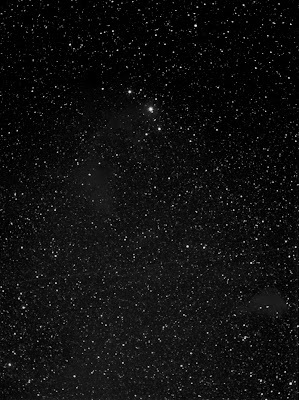 Despite 170m of luminance shot at f/4 aggressive stretching is needed to pick out the nebulae. Regardless of that, I consider these good enough to satisfy the Astronomical League. These five lift my count to 92. Where will the final eight come from? The remaining objects [and their brightnesses] within reach are clustered. Cluster 1 Sh 2-12 , Sh 2-13 [? 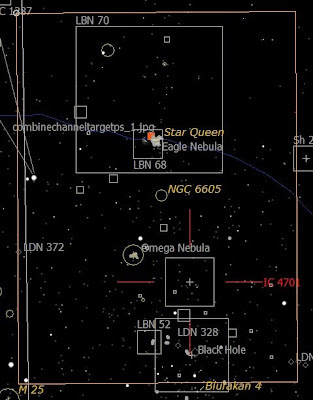 ], and NGC 6357 [?]. These three fit into a 200mm lens field. Image during July. 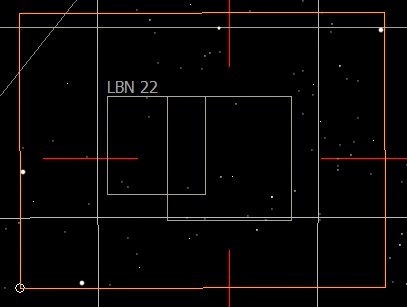 Cluster 2 LBN 20  and LBN 22 . The AT65's field is perfect for this pair. Image during June or July. 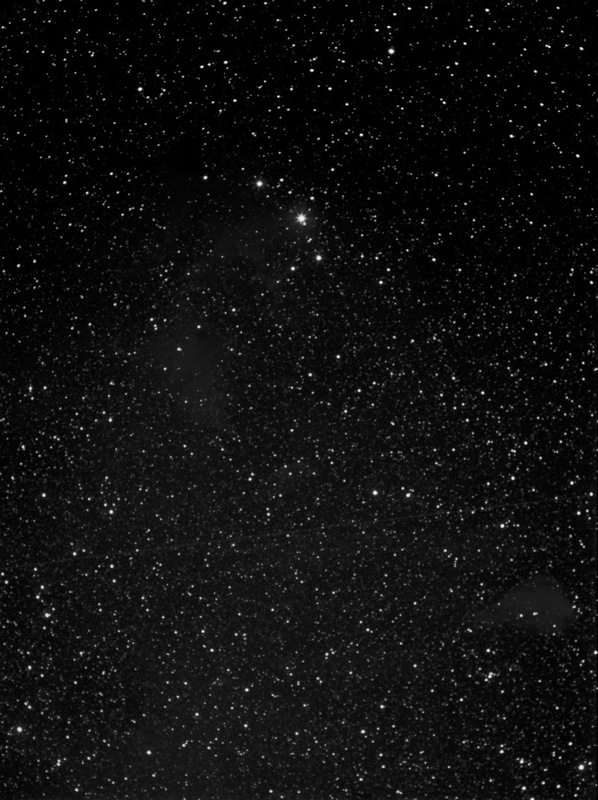 (Cluster 3) LBN 70 , IC 4701 , and LBN 52  fit into a 135mm lens field. 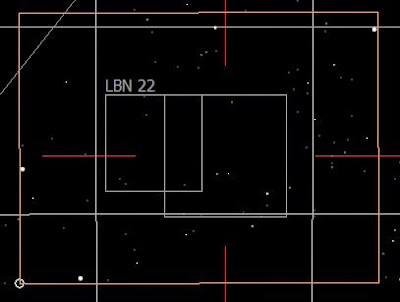 LBN 70 is huge; it encloses the Eagle Nebula and LBN 68. July or August. 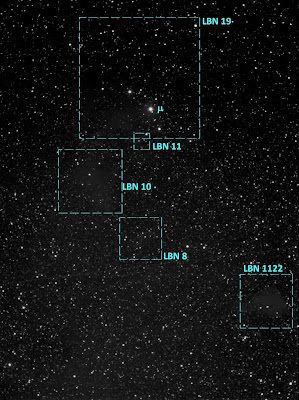 (Cluster 4) IC4812 [?] 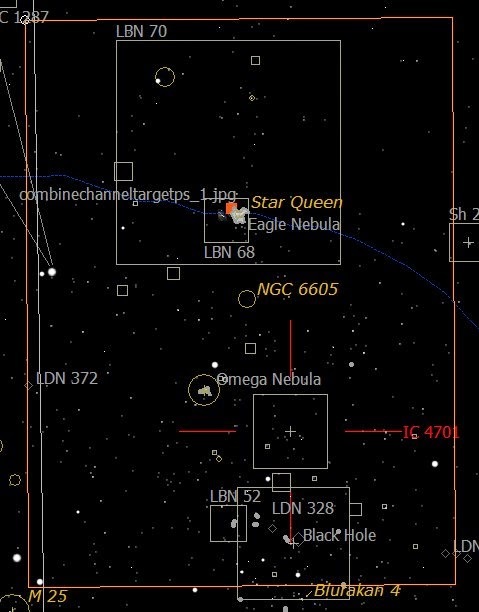 and NGC 6729 [?]. This pair also fits nicely into the AT65 FOV, although the TV-102 might be better. July. 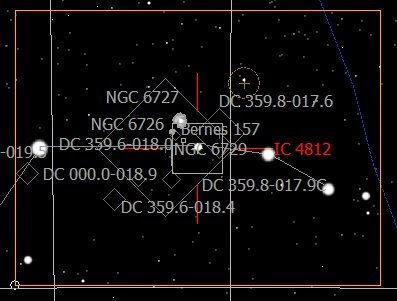 The four clusters contain ten objects, putting me two over the required 100. 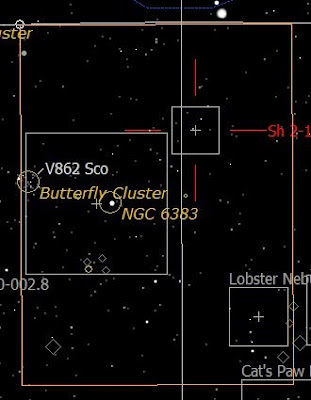 There are a couple of very dim objects that remain for August and September in the event that these fail, and if those fail it's back to winter imaging!